Sideburns resembling a swath on your face might not sound all that appetizing but Mutton Chops remain a popular and dramatic style, particularly for men with rounder faces. They follow the natural growth of the beard but stop before reaching the mouth. Grow your beard for four to six weeks. 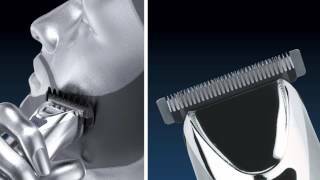 Clean up your neck, chin and mustache with your Wahl® trimmer. 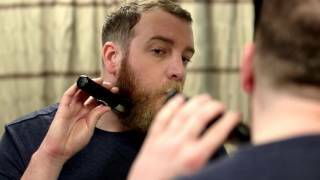 Using your trimmer, create a top border by shaving a sloped line along the natural border of your beard to your mouth. Trim a half- to one-inch vertical strip on both sides of your mouth to separate your mustache and Mutton Chops. Create a lower border by shaving a defined line along your jaw line. Allow your new chops to grow to the desired length.